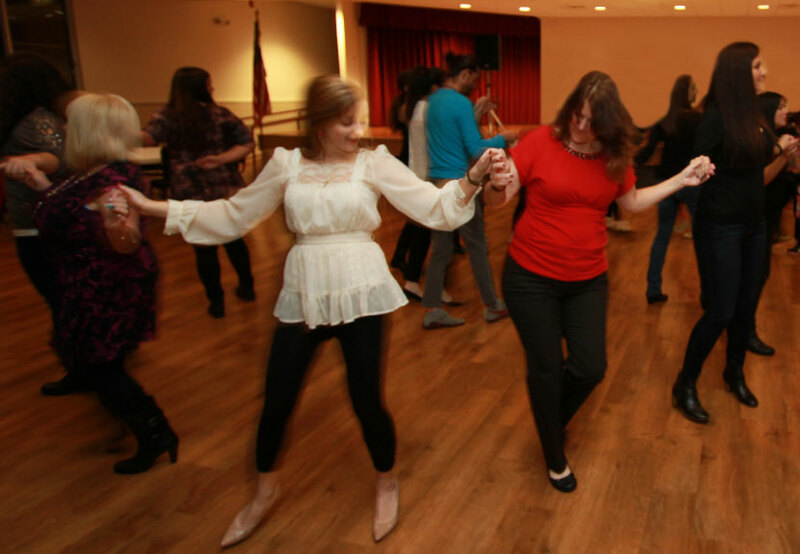 Dust off your “Opanke” and join the Adult Folklore Dance Sessions every Monday evening beginning March 21 at 7:00 p.m. in the South Wing Social Center at St. Sava in Merrillville, Indiana. The open group is newly forming this year at St. Sava, seeking to gather people interested in learning traditional Serbian Kolo dances and to just have fun. The group also welcomes people who learned the traditional dances growing up in youth folklore groups and want to keep dancing with friends in an adult environment. Everyone is welcome to attend – men and women, members of St. Sava, members of other churches throughout Northwest Indiana and Chicagoland, and anyone in the community who simply wants to learn about the culture and the fun, circle dance called the Kolo (no more sitting on the sidelines during Serb Fest 2016 which takes place August 5, 6, and 7 – you will be dancing like a pro by the time the fest rolls around). The dance sessions each Monday evening will start at 7:00 p.m. and end by 9:00 p.m. Each session will begin with some dance instruction and review by Miloš Drljević Djakovac, the dance instructor for St. Sava’s youth folklore group named Srbadija. The focus of the dance sessions will be fun, so don’t worry if you don’t have “opanke” in your closet. Wear your tennis shoes and comfortable clothes because dancing the kolo can be a serious workout! Magda Serdar, organizer of the dance sessions, explains her reasons for wanting to help form such a group. “I just love folklore. You are never too old to dance. A lot of people have talked about forming such a group and there are so many people who have danced in the past when younger, now is the time to do it,” Serdar said. Dance sessions begin Monday, March 21 in the South Wing Social Center at St. Sava. A small fee of $5 per week will be collected and used to support the church, children’s folklore, and children’s choir. For more questions or more information, please call Magda Serdar at (440) 954-2039.